When it comes to sustaining a successful business, one component which is often overlooked, but incredibly valuable, is employee morale. As business author Patrick Lencioni said, “When leaders throughout an organization take an active, genuine interest in the people they manage, when they invest real time to understand employees at a fundamental level, they create a climate for greater morale, loyalty and yes, growth.” If a management team drives vision for a business, and marketing brings clients into the business, then employees are those who actually move the business forward. After all, without employees, a business cannot make sales. And without happy employees, a business can definitely not be successful in sales. In fact, one article by Forbes even quoted a study which found that happy employees are as much as 20% more productive than unhappy ones. When it comes to sales in particular, happy salespeople can raise a company’s sales by as much as 37%. So, how can a business focus on creating and promoting a happy culture for its employees? Here are six creative ways to boost employee morale. One of the best ways to boost morale is by having consistent huddles with employees. Oftentimes, employees might have an issue with something which management isn’t even aware of. By having daily, weekly or even monthly mini-meetings for employees to share what’s going well and what’s not working, you can make sure employees feel like their voice is heard. 2. Show the “why” behind the job. Oftentimes, employees’ morale is low because they see no true purpose behind the work they do. No matter what industry you’re in, you can always find a “why” behind the job. Share this “why” with your employees. For instance, if a company is in the paper business, sharing a client’s story about reaching their audience with printed fliers is a great way to show employees their efforts actually make a difference for someone else. Nobody likes feeling less-than. When you micromanage employees, they feel like their voice isn’t heard, their work isn’t important and you don’t actually trust them to make decisions. Instead, boost employee morale by enabling employees to make their own decisions and avoiding micromanaging tasks or responsibilities. One article by Forbes identifies continuous learning as one of the fastest paths to engagement. By encouraging continued learning for your employees—whether on-the-job training or through a separate program—you can keep employees engaged and entertained in the workspace. This can be something as simple as attending another department’s meetings, or taking actual classes through a local university. Either way, continued learning continues to boost morale. When employees do something well or accomplish a difficult task, offer public recognition. Everyone enjoys feeling like their work is appreciated. Make an effort to recognize those employees in your organization who go above and beyond to accomplish their work. Whether this is a simple email out to the company or an actual certificate presented at a meeting, public recognition is the ideal way to keep employees engaged. 6. Remember to say thank you. And finally, the simplest and oldest way to boost employee morale: just say thank you. Thanking employees is the perfect way to make sure they feel seen, heard and appreciated for all of the work they put in at the company. Take time to write a handwritten note if possible, send an email or even have a one-on-one meeting to truly thank employees for everything they contribute to the company. When it comes to building a successful and thriving company, employee morale is a critical component. 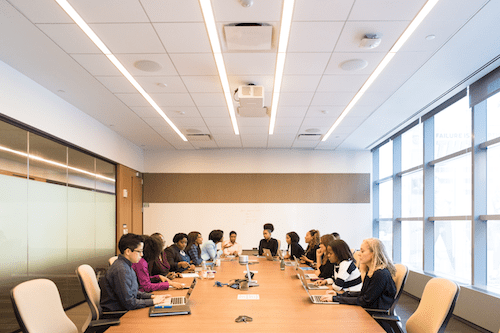 Utilize these ideas to boost employee morale within your business, and see how it can positively affect overall sales growth.